Hello there followers…and HAPPY FRIDAY! 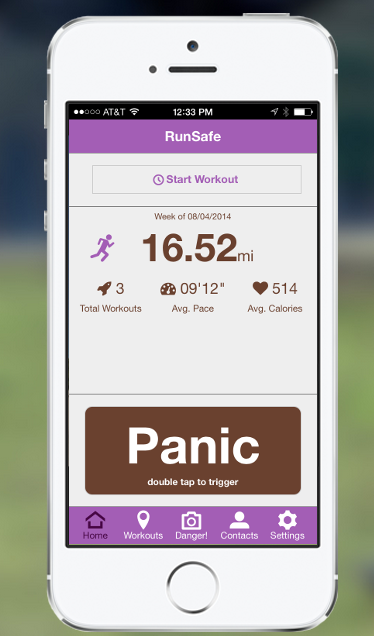 I had the opportunity to connect with RunSafe, an app and business designed to better the running community this past week. If you have never heard of this app, it is definitely something you should check out. Whether you are an outdoor runner, biker, hiker, etc, it is an amazing way to ensure you are always safe wherever you are and have the ability to be located in case of an emergency. RunSafe and I collided over Twitter and I was interviewed by them regarding my role as a Nutritionist, blogger, and outdoor runner. You can check out my interview with RunSafe regarding my blog, running life, and thoughts on the app by clicking on the link below. RunSafe takes the worry out of your workouts by keeping you connected to your loved ones. It not only tracks and manages all your fitness activities, it stands ready to alert your family and friends in the event of an emergency. Whether it’s a suspicious person, a bad fall or a sudden health issue, you’re never more than a tap away from help and an immediate response to your situation. A big shout out goes to Sam Voss for connecting with me and his work towards bettering the running community.